For a nothing less than incredibly stylish getup, reach for a Hart Schaffner Marx douglas modern fit wool cashmere overcoat from Nordstrom and a black and white houndstooth blazer. 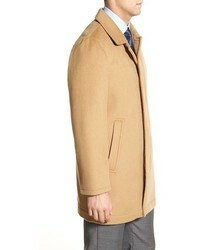 Team a Hart Schaffner Marx douglas modern fit wool cashmere overcoat with grey wool dress pants for a sharp classy look. 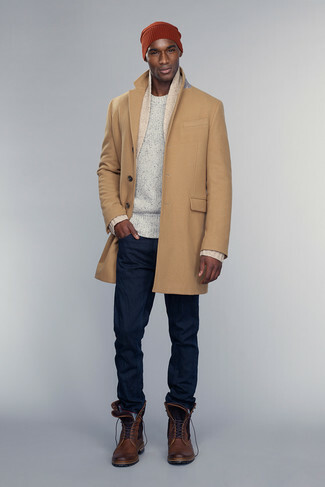 For a casually elegant ensemble, dress in a Hart Schaffner Marx douglas modern fit wool cashmere overcoat from Nordstrom and charcoal chinos — these pieces a work setting nicely together. 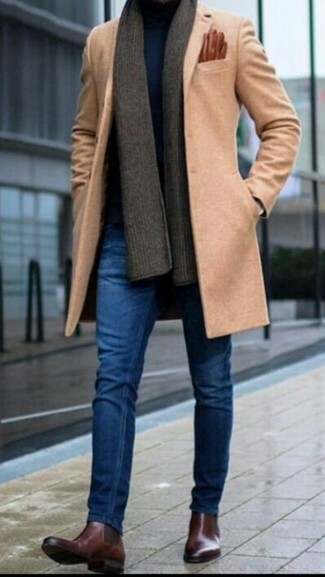 A Hart Schaffner Marx douglas modern fit wool cashmere overcoat and blue skinny jeans are absolute must-haves if you're figuring out an off-duty wardrobe that holds to the highest style standards. 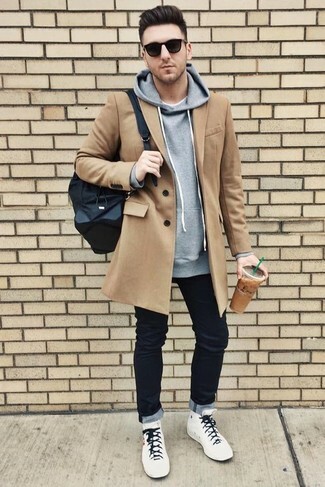 Spruce up this look with dark brown leather chelsea boots. 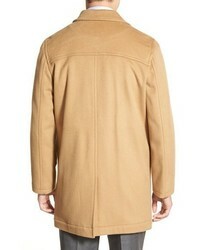 For a smart casual outfit, wear a camel overcoat and black jeans — these items work really wonderful together. Add a more relaxed vibe to your look with white high top sneakers. 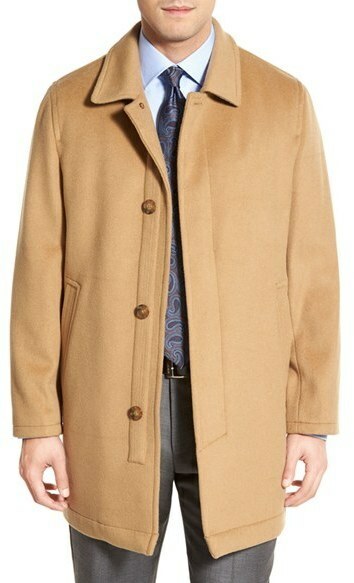 For a casually elegant ensemble, rock a Hart Schaffner Marx douglas modern fit wool cashmere overcoat from Nordstrom with navy chinos — these two items a work setting really well together. 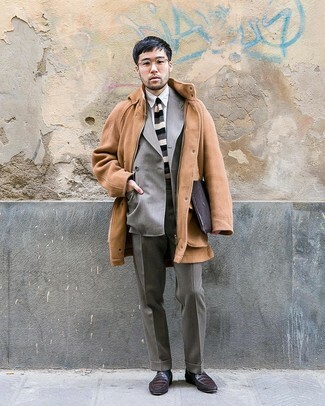 Black suede derby shoes work spectacularly well with this outfit. 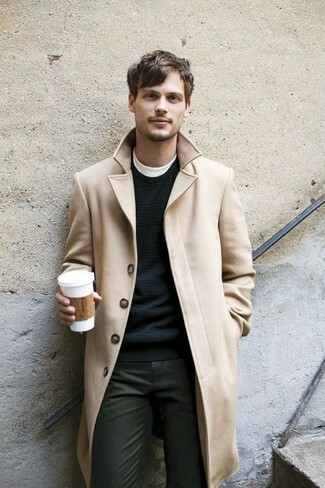 Consider pairing a camel overcoat with grey dress pants for incredibly stylish attire. 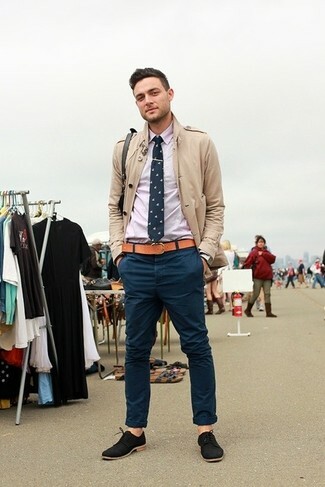 For something more on the daring side to round off this outfit, go for a pair of dark brown leather loafers. 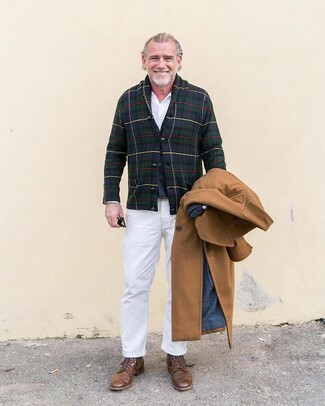 For a casually elegant getup, try pairing a Hart Schaffner Marx douglas modern fit wool cashmere overcoat with white chinos — these two pieces fit really savvy together. 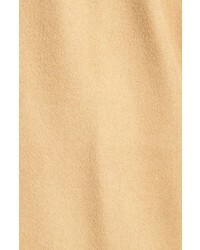 When it comes to footwear, this ensemble is round off nicely with brown leather casual boots. For a casually elegant ensemble, pair a Hart Schaffner Marx douglas modern fit wool cashmere overcoat with navy jeans — these two pieces go really well together. 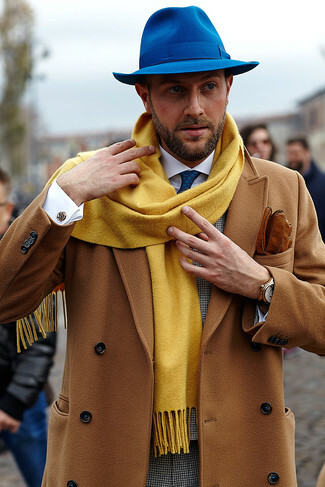 When it comes to footwear, this ensemble is finished off brilliantly with dark brown leather brogue boots.